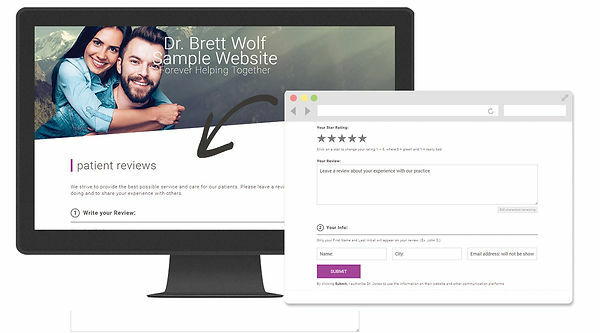 Our new Reputation Marketing feature includes a Patient Reviews page on your website, and a Review Manager function that allows you to maintain control over patient feedback on your website. 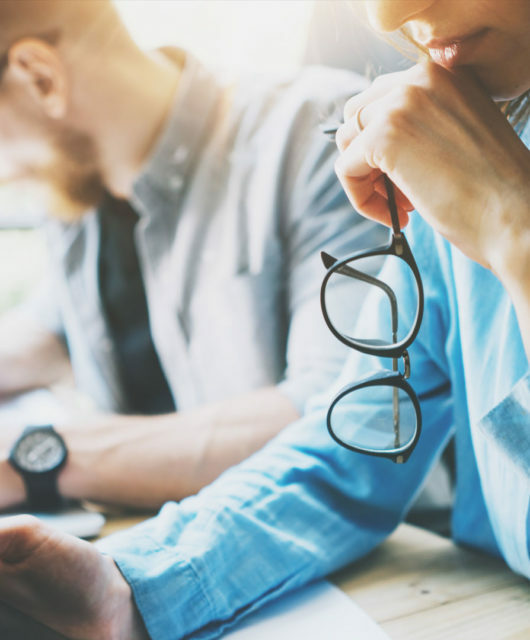 Together, these components allow you to use positive patient reviews to your advantage and manage less-than-stellar feedback. 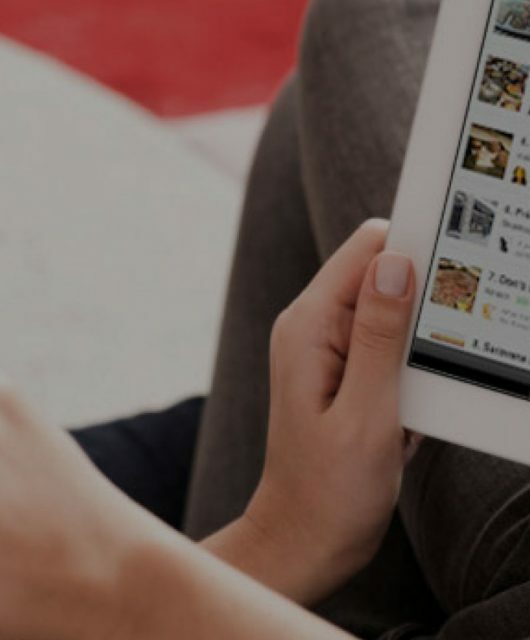 Read on to see how to begin using this feature today! 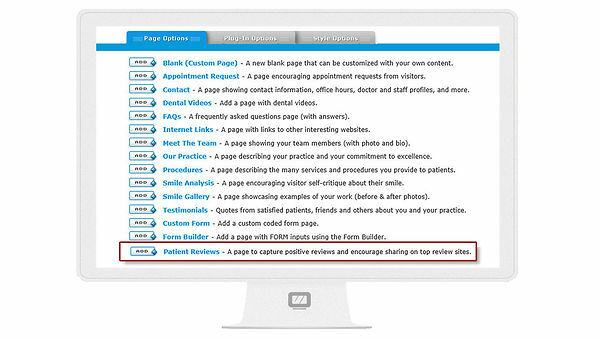 Log into the website editor at www.ProSites.com and click “Sign in.” Once you log in, select “Add” next to Patient Reviews under Page Options. If desired, alter the template text to fit your needs. Scroll down to enter the email address where you would like to receive new review notifications. 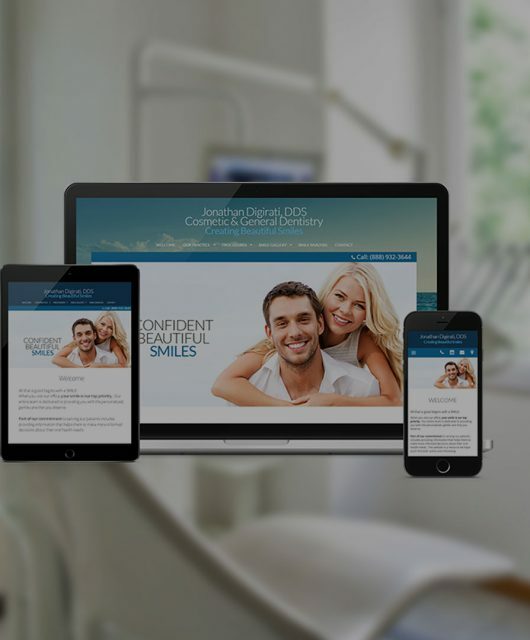 Enter the full URL (website address) for the popular review sites where you have an account so patients can share positive reviews beyond your website. 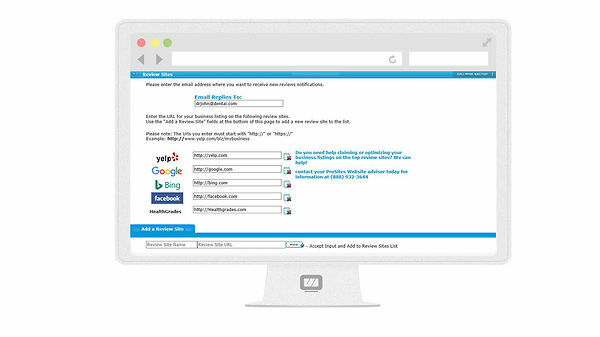 You must connect to your account for the review site to appear properly on your website. Then add any additional review sites where you have an account. 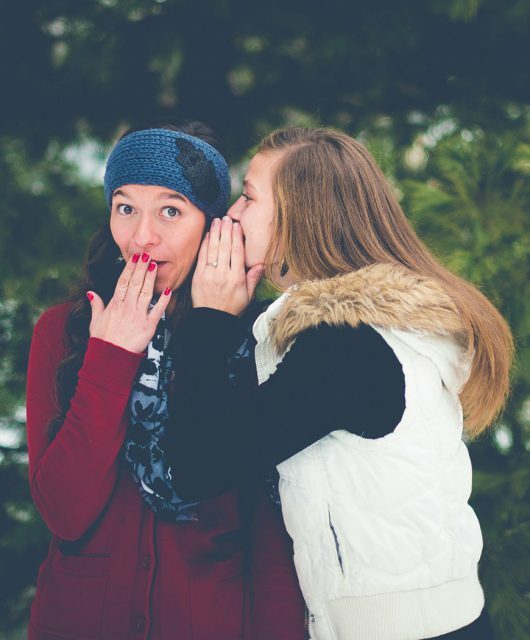 That’s it – you’re ready to collect patient reviews! Don’t feel like doing it yourself? No problem – submit a support ticket via the website editor or contact Member Services at (888) 932-3644. 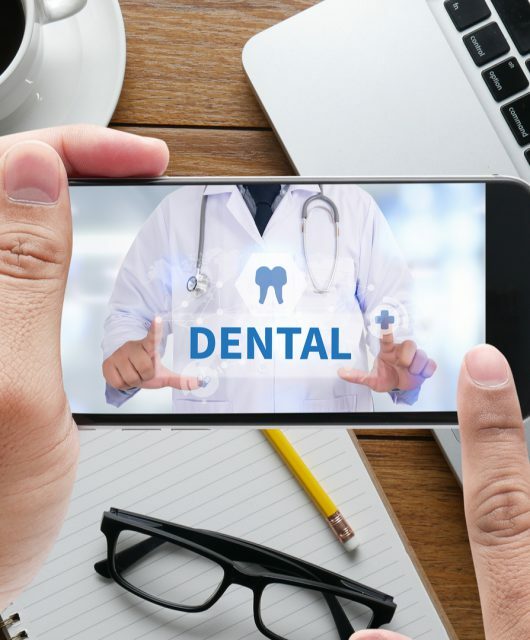 Reputation Marketing makes it easy for your patients to share their positive experiences. Once your reviews page is created, a Patient Reviews tab appears in your website navigation bar. 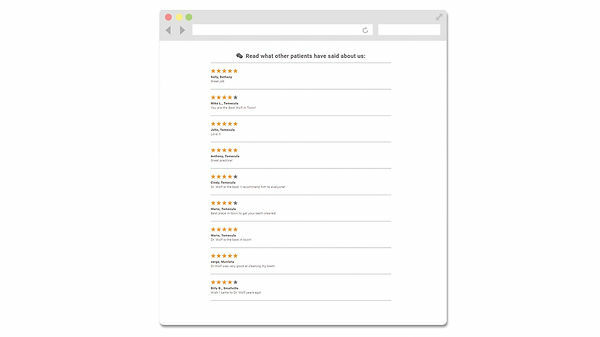 Patients are prompted to rate their experience on a scale of 1 – 5 stars and also have the ability to leave comments. Clients who rank their experience 4+ stars are automatically prompted to share their review on a review site, which also helps to enhance your SEO. 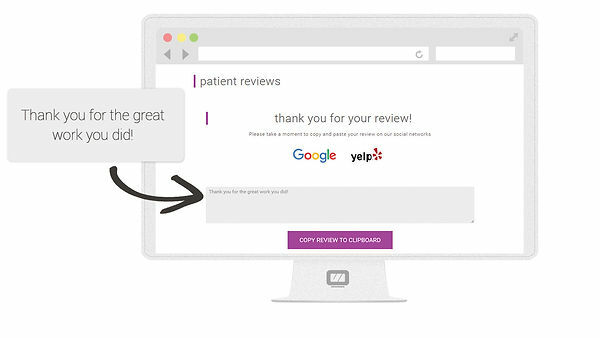 All patient created reviews submitted on your website’s Patient Reviews page are stored in the Review Manager. 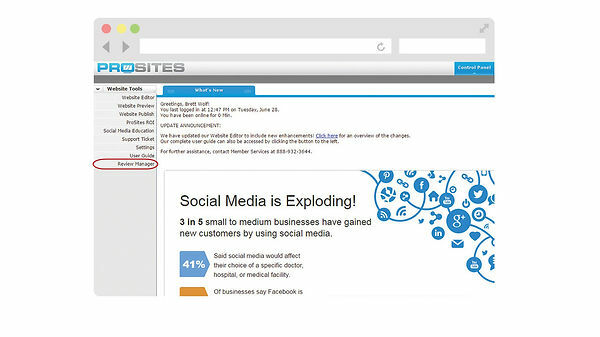 When a review is entered, a notification is sent to your email address previously specified. 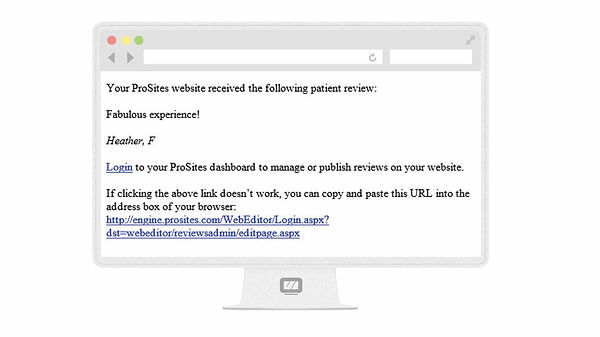 To access submitted patient reviews, select Review Manager under Website Tools in the ProSites website editor. 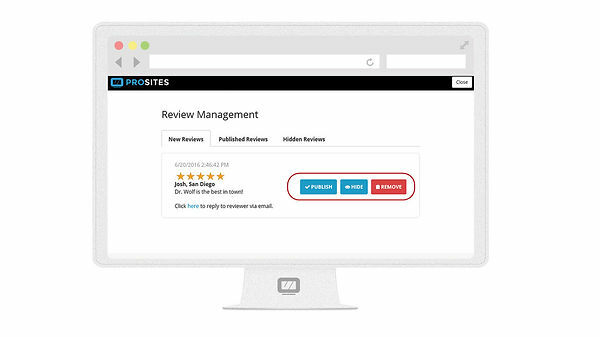 Within the Review Manager you can publish patient comments to the Patient Reviews page on your website, keep the review hidden so you can revisit it at a later time, or remove the review altogether. You can also respond directly to the reviewer via email. Once published, reviews appear on your Patient Reviews page so you can sit back and the let the power of influence work for you. 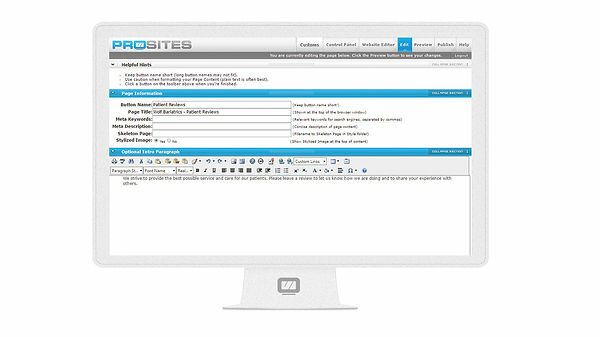 If you have any questions, you can call us at (888) 932-3644 or email service@prosites.com.